Let me ask you to absorb the fact that if one of your workers fell while working at a height, even if they had a safety harness on, it could prove fatal. A worker that falls, and is saved by their harness, only has about five minutes to be rescued; any longer than 10 minutes in suspension and the devastating result could be death. As difficult as it is to read, this is the dangerous reality of working at heights and the reason why you should read on. Of the 144 workers killed as a result of a workplace accident in 2015/16, 26 per cent (37 cases) fell from a height. Some 18 of those fatal falls occurred in the construction sector, seven in the agriculture, forestry and fishing sector and four in manufacturing. Moving away from the stark facts for a second, the reality of these statistics is that 37 human beings lost their lives completely unnecessarily, undoubtedly leaving behind devastated families, friends and colleagues. The same report by the Labour Force Survey2 revealed that on average there will be 9.4 days lost per non-fatal fall from height workplace injury. Work at height can even mean working at ground level. The Health & Safety Executive (HSE) describe it as working ‘in any place where, if precautions were not taken, a person could fall a distance liable to cause personal injury’. This means, a worker could be working at height if they work above ground/floor level; if they could fall from an edge, through an opening or fragile surface or if they could fall from ground level into an opening in a floor or a hole in the ground. The Work at Height Regulations 2005 were introduced in a bid to prevent death and injury caused by falls from height, and so protect workers. 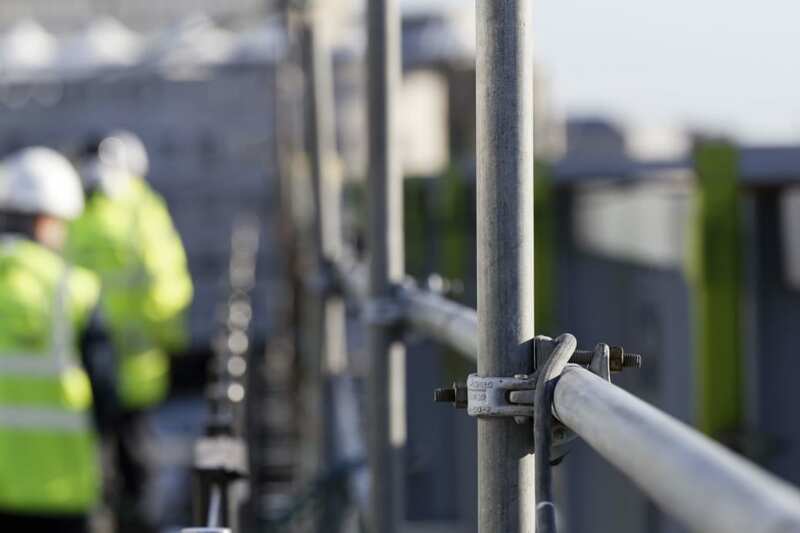 The main aim of these regulations is to encourage the avoidance of working at height if possible and where it cannot be avoided to use the best practicable means of ensuring the safety of those working at height. These regulations place the duty on employers, facilities managers, building owners and anyone else that controls work at height, including the self-employed. All of these individuals and organisations have a legal responsibility to ensure the regulations are implemented and that all activity is properly planned, supervised and carried out by competent persons. More recently the Construction (Design and Management) Regulations 2015 (CDM) were updated and exist to improve the health, safety and welfare of those working in the construction industry. CDM applies to all building and construction work and includes new build, demolition, refurbishment, extensions, conversions, repair and maintenance. One would expect that with these regulations in place, there would be less fatalities and accidents caused by working at height, but we must take into account human error, complacency, lack of concentration, fatigue, time pressures and so on. Quite simply, employers, managers and building owners cannot rest on their laurels and the consequences of complacency must be reiterated. First of all, there is a moral duty of care; they must protect workers against loss of life or the possibility of a life-changing injury. Surely that is a given? Secondly, there is also a legal duty of care; failure in this area can result in huge fines and even imprisonment for corporate manslaughter. In January, the British baking firm Warburtons was fined £2m after a worker was hospitalised when he fell from one of its mixing machines while cleaning it. A health and safety investigation found the business failed to control the risk of falls from height when carrying out this routine activity. Just a few months ago, an aircraft company was fined £160,000 after two workers fell 15 feet while carrying out checks on the tail of an aeroplane, while in March, two bosses at a Greater Manchester construction company were jailed for 20 months for covering up events that led to a worker’s death and fined £300,000 after admitting corporate manslaughter when he fell from a shed roof at a quarry. Greater Manchester Police, which led the investigation alongside the HSE, found no safeguards had been put in place to prevent the fall, such as harnesses, netting or a fall restraint system. Scaffolding was not used and a full risk assessment was not completed. What is working at height? It is thought that if a person falls from a height above two metres they are likely to sustain serious injury, although it isn’t just about working on roofs, but also ladders, scaffolding and platforms. Working at height can also include working over tanks and pits, at the edge of elevated structures such as silos, on top of vehicles or simply cleaning windows. Hazards can include not just falling, but being struck from falling objects, being stuck at a height without adequate rescue plans, or even the person undertaking the work having a fear of heights. In our work to ensure asbestos building and property compliance, it is equally important to manage sub-contractors in making sure their risk assessment and methodology statements comply with working at height regulations. Often specialist sub-contractors, such as scaffold/specialist access, builders, carpenters, plumbers and electricians are required to be brought in to complete a specific area of work when managing structural builds and refurbishments at height during the asbestos investigation and removal process. An example of such a requirement was working with Camden Town Hall, a Grade II listed building. Our specialist asbestos team were required to complete a thorough asbestos risk assessment to allow structural investigations to be completed ahead of the building works commencing. Due to a ceiling height of approximately 14m and the limitations imposed by listed decorative finishes within the area (listed status panelling, cornices and decorative plaster moulded finishes) it was not possible to ‘tie-in’ scaffold to the perimeter structure. The structural engineer carried out a site survey and certified that the timber floor was also not strong enough to take the weight of a MEWP. Therefore, following the completion of the structural survey, working at height risk assessment and consultation with all contractors and sub-contractors, it was finally agreed by all parties who were required to perform their specific task at height, that a free standing scaffold was the solution. Falls from height can happen in any industry but the three most prevalent are agriculture, construction and transport. Accidents can be avoided if suitable equipment is used, and if those carrying out the work are given adequate information, instruction, training and supervision. Where possible, employers should avoid asking their employees to work at heights but, granted, it is highly unrealistic this will happen. 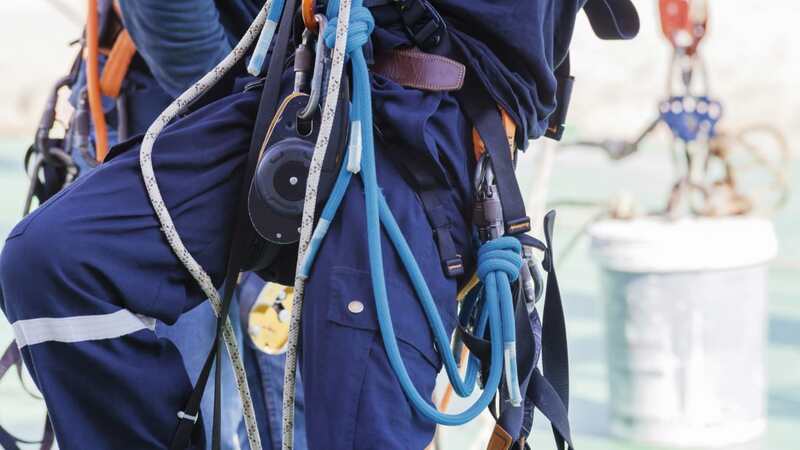 When workers must work at height, the employer must carry out a suitable and proper risk assessment to evaluate the risk of falling, the risk of injury and to identify steps that can be taken to reduce the risks to the lowest practicable level. The first line of defence is to prevent falls from happening. There will always be situations where working at height is necessary, but with forethought, planning and proper investment, falls can be prevented. Edge protection and restraint systems that prevent the worker from reaching the fall danger zone are the best. Where this is not possible, and the work requires entry into the fall zone, fall arrest harnesses are used. Yet, as with all equipment used to prevent accidents from occurring, maintenance is critical to ensure continued effectiveness. When using ladders and stepladders, the health and safety law requires them to be suitable and appropriate for the work and conditions, at the proper height and fitted with suitable anti-slip devices or stabilisers to ensure that the ladder is secure. The stiles must not be bent or damaged and the rungs not worn or missing. Where ladders are used, the task must enable the worker to maintain three points of contact. A platform will always provide a safer option, especially for any work of an extended nature. However, sometimes accessibility means that it is not always possible to use a platform, despite the wide range of options in cherry pickers, scissor lifts and scaffolding that are available on the market these days. Even with all the preventative measures possible, sometimes the risk of falling from a height cannot be completely eliminated and as already mentioned, appropriate safety equipment – such as a safety harness – should be used to minimise the distance from which the worker is at risk of falling. However, even fall arrest harnesses have their own risks. A safety harness is only safe for a limited period of time. It is therefore essential to have a detailed rescue plan in place in case of an emergency and to ensure those carrying out the rescue have been fully and competently trained to do so. 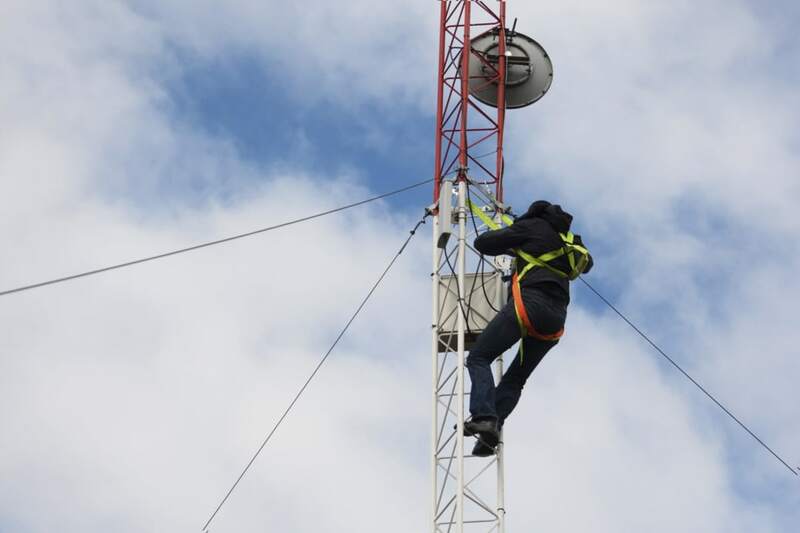 Employers cannot simply rely on the emergency services to rescue workers at height; aside from the fact that it is not their role and there could be a delay in them reaching the worker in a situation when time is critical and every second counts. Following a fall a harness can be a lifesaver, but only for so long. If a worker is suspended in mid-air, their life is literally hanging in the balance and everything possible must be done to rescue them within 10 minutes. 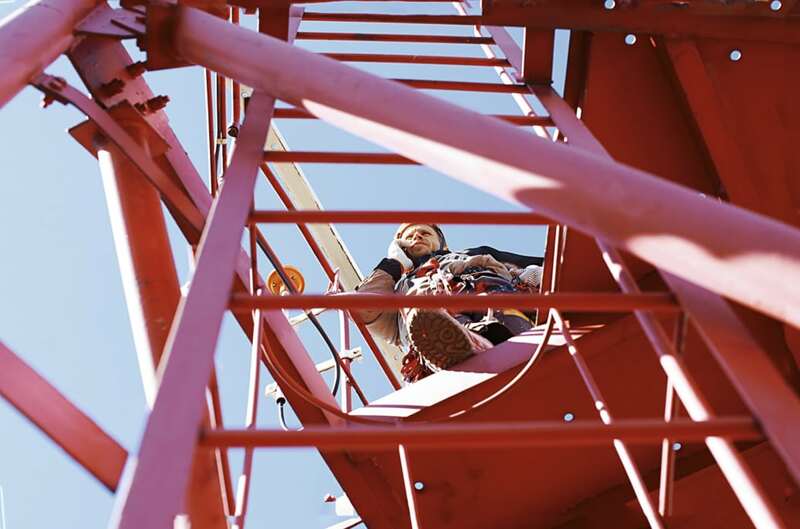 When hanging in the air, suspension trauma (aka harness hang syndrome, or orthostatic intolerance) will quickly restrict the worker’s blood circulation. As they hang in the harness, the leg straps support the body’s weight but over time they crush the femoral arteries on the inside of the legs, cutting off the blood circulation and preventing the blood from returning back to the heart and lungs. Blood can become trapped in the legs and without circulation there is a lactic acid build up. It is when a worker is brought down and released that this acid blood can flow quickly back up and overwhelm the vital organs, potentially resulting in heart failure. We are literally bombarded with information about the prevention of accidents, but we need to consider what happens when it does go wrong and how we are going to get those workers back to safety. It’s for this reason that a fully thought-out rescue plan is now a legal requirement of the Work at Height Regulations 2005. However, it is worth bearing in mind that a rescue plan is also essential for those people working at low heights for instance in a factory behind pipework. How do you reach them in the event of an accident? Situations like this must also be planned for. The person in the harness has two choices: self-rescue or to be rescued. If a worker is in a remote area or colleagues don’t have rescue equipment at hand (although this should never be the case), then they need to be able to rescue themselves. There are controlled descent devices the worker can wear to help save them when the clock starts ticking, such as those that are built into a standard safety harness, which will manually or automatically let them slowly lower themselves to safety in the event of a fall. Safety retracting lines are becoming increasingly popular because they allow workers to get to a surface where they can stand or back onto the ground on their own accord, lowering their chances of suspension trauma. It must be said, however, that automatic devices should be used with caution as there will be some circumstances when it would be dangerous for a worker to be automatically lowered, such as if there are chemicals below them. There are times when a worker will need to be rescued though and those responsible for creating a rescue plan must decide on a rescue system that will help retrieve the fallen worker in minimum time, using rescue equipment and kit that is already at the scene – if you have to go and collect it, you are wasting precious time. While a rescue effort is being implemented in accordance with company policy and safety guidelines, the emergency services should be contacted for when the worker has been rescued. It also must be stressed that although they will be fully trained on fall protection, rescue equipment and procedures, rescuers must not put themselves in danger at any time. In essence, proper planning, training and supervision are key to an effective safe working at height operation. All working at height tasks that involve the use of harnesses should be supervised at all times. Many of us will have observed the worker in a Mobile Elevating Work Platform (MEWP) wearing a full harness, with the anchor point tucked into the harness instead of attached to the MEWP. Clearly where this is the case, both training and supervision has failed. Effective training gets the message across that the harness is there as a last resort to save lives, not to be a hindrance to undertaking the task. Effective training also includes what the person wearing the harness should do in the event of a fall, which is to get the body as near to horizontal as possible. What is important to reiterate is that those we are talking about here are not merely ‘workers’ but human beings, who deserve to be protected in the course of their employment. The knock-on effect is that when businesses keep their people safe and well, they are also fulfilling their duty of care and protecting their reputation and brand. There is always a choice in protecting those working at heights – that is to do it properly and so help save lives or be complacent and risk a worker’s wellbeing, and in doing so see the business fall spectacularly from grace – from a big height.